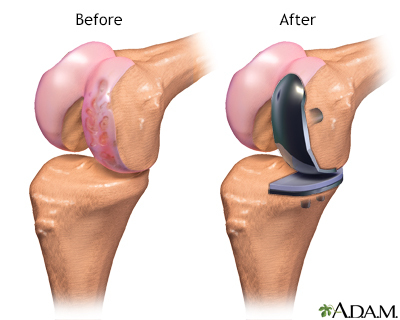 Partial Knee Replacement or Uni-condylar Knee Arthroplasty (UKA) is a less invasive alternative to Total Knee Arthroplasty (TKA). The procedure preserves bone and reproduces more normal knee motion when compared to TKA. Faster recovery, lower risk of infection and fewer blood transfusions are other benefits. While TKA remains the gold standard treatment for severe knee arthritis, partial knee replacement can be an excellent option for select patients.